The Lo Shu Square is an ancient tool used for divination by ancient Chinese feng shui masters. It is not something you will directly apply while improving the feng shui of your home or office, but rather a theoretical, or conceptual aspect to help understand the development of feng shui. The bagua as we know it evolved from the Lo Shu square, so it might be good to understand its roots and wisdom. The Lo (Luo) Shu Square, sometimes called the Magic Square, is also at the root of ancient feng shui astrology, the flying star school Xuan Kong, as well as the I-Ching, of course. 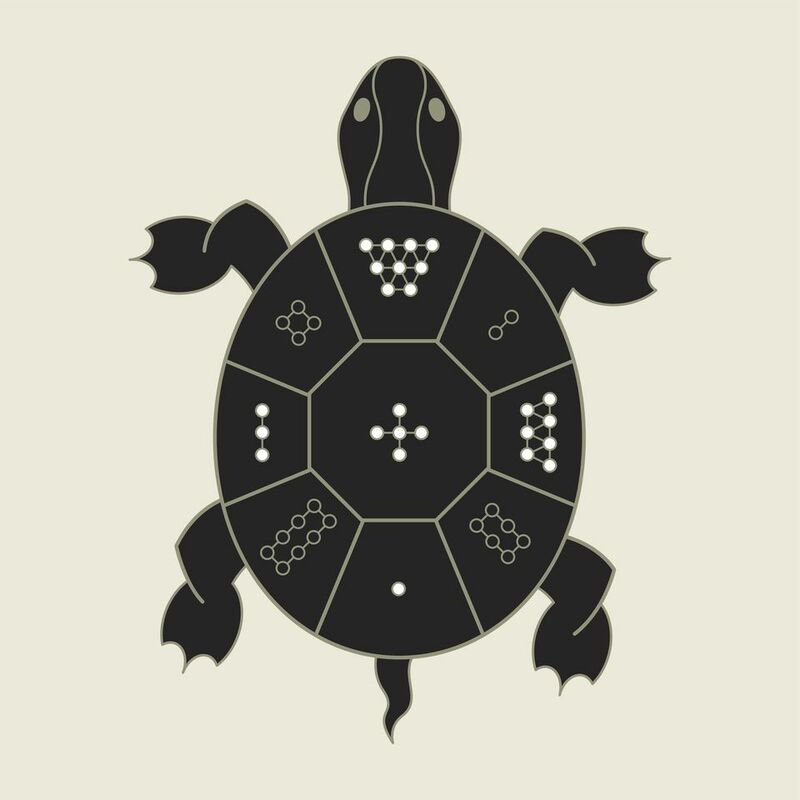 As the story goes, an ancient Chinese master derived the wisdom of the magic square from the patterns on the back of the turtle. By reading those patterns he saw a deeper pattern of natural rhythms, or laws of the Universe as expressed in the Lo Shu square. There are several slightly different stories about different masters, the more popular one is about the Emperor Yu walking along the river Lo (thus Lo Shu Square is translated as the Scroll of River Lo). This legend dates to 650 BC, the times of great floods in China. The turtle that emerged from the river had an unusual 3 x 3 pattern on its shell which later became the basis of the Lo Shu Square, a mathematical grid where the sum of numbers from each row, column or diagonal is the same. Basically, no matter which direction you add the numbers – horizontal, vertical or diagonal – they always add up to 15. Number 15 is considered a powerful number because it corresponds to the number of days in each of the 24 cycles of Chinese solar year. In other words, it is the number of days in the cycle of the new moon to the full moon. In the Lo Shu Square, number 5 is in the center, with the odd and even numbers alternating on its periphery. The four even numbers - 2,4,6,8 - are at the four corners of the square, with the five odd ones - 1,3,5,7,9 - forming a cross in the centre (look at the Lo Shu Square image above). You can see how the feng shui bagua evolved from the Lo Shu Square, especially if you know that in China South is placed at the top of the maps. Number 9 is the number for the South bagua area (on top) and 1 is the number for the North bagua sector (bottom of the square). The odd numbers are considered of Yang quality, and the even numbers carry Yin energy. In the Lo Shu Square Yin and Yang numbers alternate around its center number 5. The numbers in the Lo Shu Square are considered to have specific properties or be an expression of specific energies. For example, number 9 carries a strong Fire feng shui element energy, while number 1 is an expression of the water element. In feng shui, they are called "stars" and they have a predicted pattern to their movement. In the flying stars school of feng shui (Xuan Kong), the movement of stars is chartered each year in order to define the movement of specific energies, both positive and negative. Knowing this pattern, one can create a balanced feng shui environment. It is on the dynamic of the Lo Shu Square that the annual feng shui updates are based upon. What are Annual Stars in Feng Shui? What Is the Flying Stars School of Feng Shui? Feng Shui or Vastu Shastra for Your Home? The Annual Feng Shui Updates - Should You Bother? What Is Bazi or Four Pillars School of Feng Shui? What is Feng Shui Astrology? Dried Flowers Bad Feng Shui or Not?